所有的Dairy Queen店铺3月16日有免费的香草冰激淋 - 友情链接交流 - 温哥华妈妈圈 - Powered by Discuz! Dairy Queen: Free Cone Day on March 16!Mark your calendars as here's a great freebie to welcome spring with: on Monday, March 16, Dairy Queen is having a Free Cone Day! 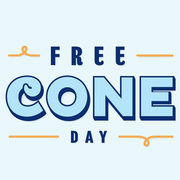 Head to your local Dairy Queen location and you'll be treated to a free small vanilla cone. No purchase is necessary to redeem this freebie. This freebie is available on March 16 only at participating locations and each customer is limited to just one cone.